The compressor is an effect that is always a bit intimidating because of the number of parameters often: attack time, release time, compression ratio, output volume, etc. 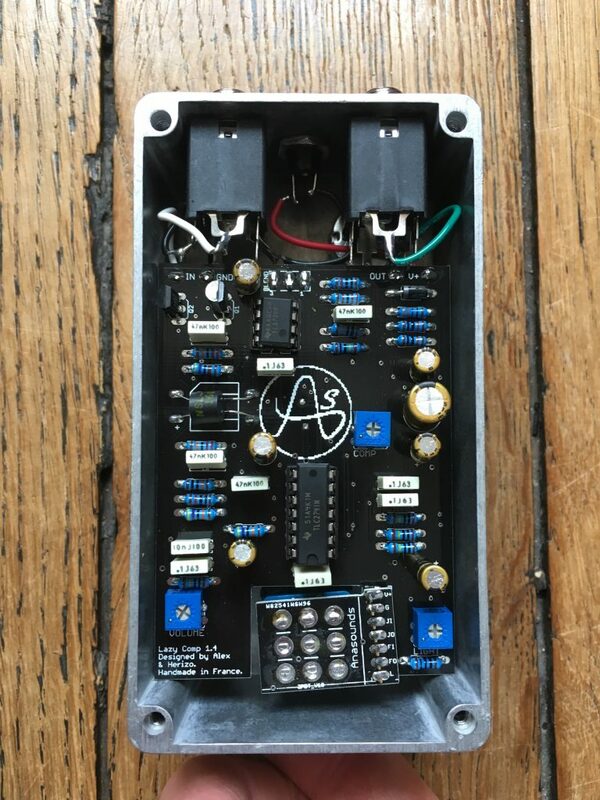 That's why Alexandre Ernandez, the designer of Anasounds, made the choice with this Lazy Comp pedal to propose a compressor with ... one button! 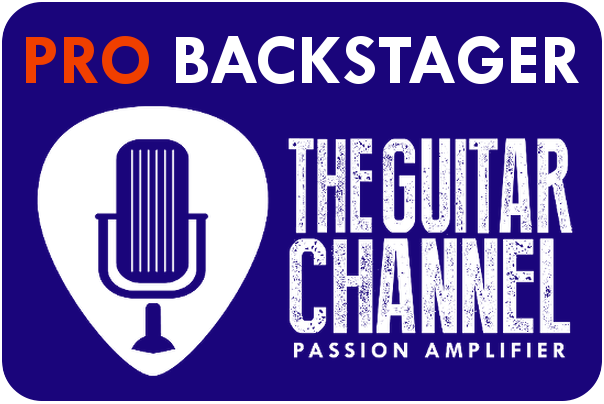 The parameter controlled by this single button is the percentage of mixing between direct sound and compressed sound. In the pedal there are two additional parameters, the compression ratio and the output volume. 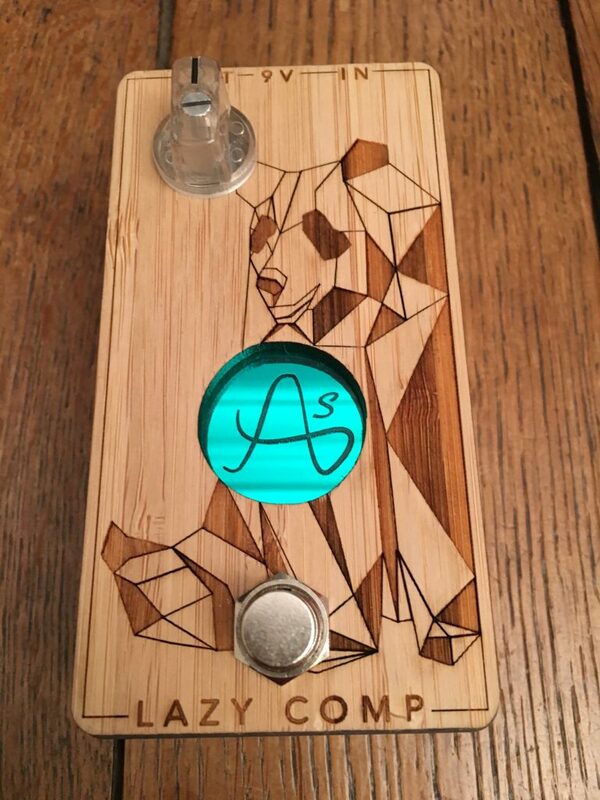 Anasounds signs with this Lazy Comp a very cool pedal. Are you one of the people who want to use a compressor without headache? The Lazy Comp is for you! This pedal sounds particularly well with humbucker pickups even if it also works with single coils. My preferred setting was between 50% and 75% to have a strong impact of the effect. The only fault I found with this pedal is that by adjusting the external parameter I often wanted to adjust a bit the volume of output that is accessible only internally. 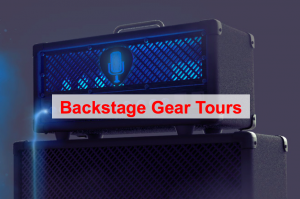 As Anasounds is a Pro Backstage Pass owner, there's a review unit from this pedal which is doing a Backstage Gear Tour allowing the Backstage Pass owners in France to test drive it at home free for one week.